What's common to all music or theatre festivals? Good art. Good music. Good crowd. Pathetic food! At the largest open air theatre fest in America, that happens at The Muny, St. Louis, I was hungry. My aunt was appalled. Appalled that I actually bought something at a festival. Bad would be an understatement for the food. Great would be an understatement for the performance on stage! Things are no different in most such festivals! Why? I guess, for the caterers, these are one time guests who they have no interest in impressing. Make a quick buck! I believe Chennai holds the record for hosting the longest music festival in the world. The Marghazhi month is one that has all the music houses buzzing with activity. Carnatic music lovers' dream month. What is so different about the food here? Why is food so different here!?! Why is food so good here? Young crowd singing and performing. Parents of young crowd watching. Watching the performance. Watching sidewards. Checking out other young ones. Scouting full time for potential 'in laws'. What better place to showcase how well you will cater the wedding!?! And so, the caterers show what they can do! Service is at its best. You are pampered to eat more. 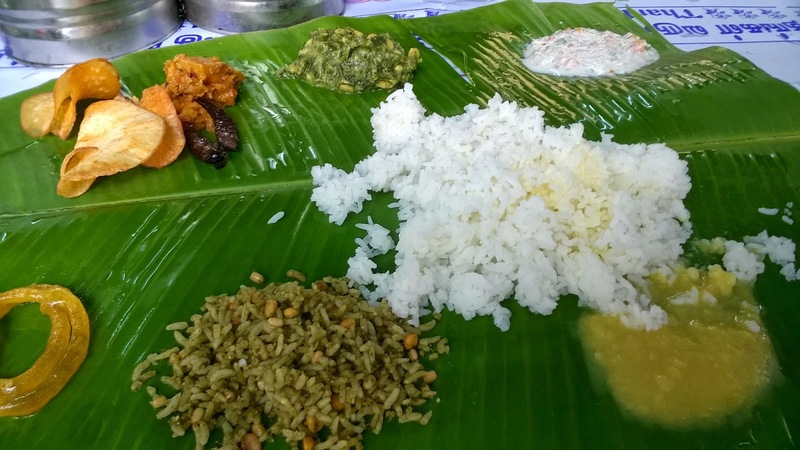 'Saar, innum konjam rice' is a standard phrase. (Sir, have a little more rice)! Typically a four course meal. All courses have rice. All courses have veggies. All courses have the sides. Only what goes on the rice changes across the courses. First course, dhal. Second course, sambar. 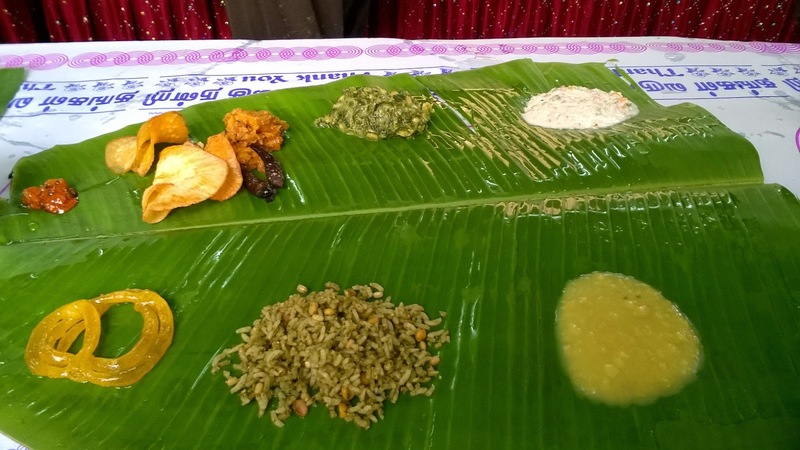 Third course, Mor Kozhambu. Fourth course, rasam/curd/podi. Yes, that means sometimes there is a fifth or sixth course! Though aimed to serve those visiting the concerts, the food is so popular, that Music Academy has a board outside that says, "No car parking for those visiting only the canteen." First stop this year was Vani Mahal. Meals at Rs 140. 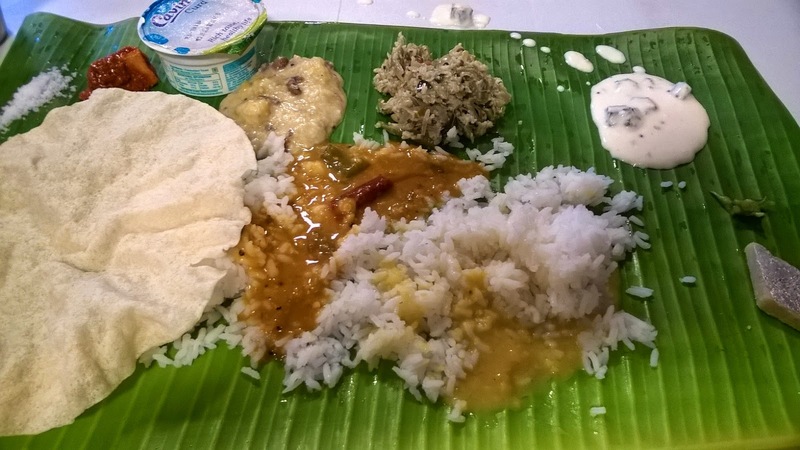 Mor Kozhambu was very very different and the ghee with podi was outstanding. Second stop was at Music Academy were the meals was priced at a whopping Rs. 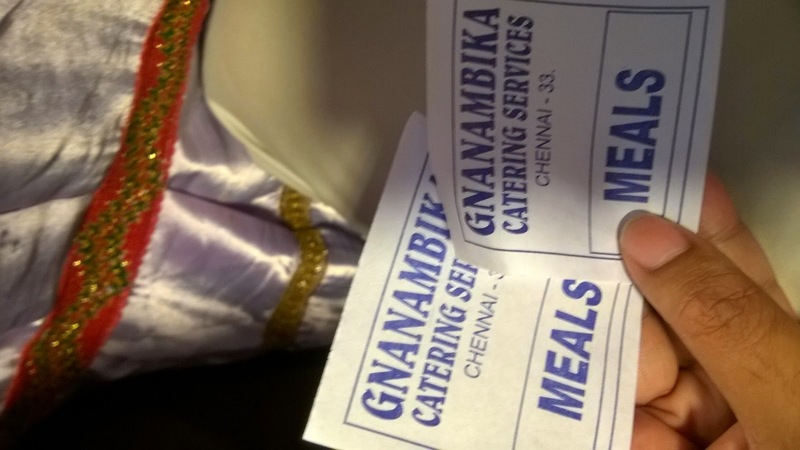 200, but had a lot more variety and the sambar was outstanding. No podi though. Personally I liked the Music Academy better, but I also plan to hit Naradha Gana Sabha soon! Most places have this going on till the second week of January! Yup, I am talking so much about pure vegetarian food!